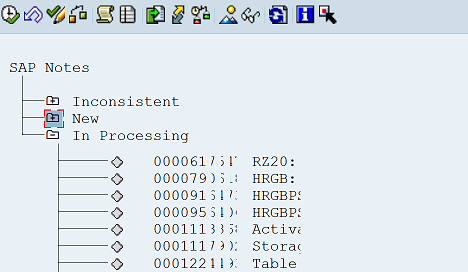 The processing status does not get set automatically but is something you set manually yourself as you process the note. This helps you keep track of each note implementation so you can easily see what state each one is at from the initial overview page. 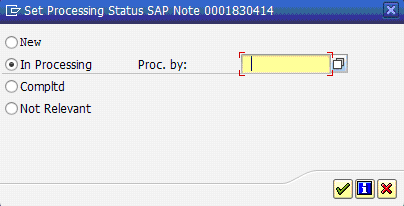 Note instructions have been implemented into your SAP system and note is complete. If you keep all your processing statuses upto date it will mean that you will get a good overview of active notes within the note assistant workflow screen.